US authorities have charged at least 66 men and women with ISIS-related terror plots on American soil – including a handful of refugees, Daily Mail Online can reveal. The terror group has set its sights on Washington, D.C. as it vows to further infiltrate the West and ramp up its blood-soaked offensive. Presidents Obama insists says that 'slamming the door' on Syrian refugees fleeing ISIS would be a betrayal of American values. But 34 governors are refusing to take in any more, in case jihadi fighters slip into their states and repeat the carnage of Paris. Analysis by Daily Mail Online reveals that a handful of foiled plots have already involved immigrants accused of harboring sympathy for ISIS. They fled the war in Yugoslavia to enjoy new lives in the US - but are now accused of conspiring to help its deadliest enemies. 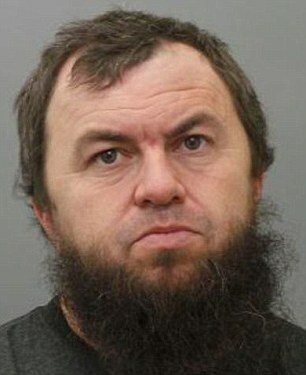 Six Bosnian immigrants, three from Missouri, two from Illinois and one from New York, were charged in February with sending money and military equipment to extremist groups in Syria including ISIS and the Al Qaeda-affiliated Al-Nusra Front. Among the accused are Ramiz Zjad Hodzic, 40 and his wife Sedina, 35, who allegedly gathered money to purchase military uniforms and tactical gear so they could send it to fighters in Syria. Also facing trial are Armin Harcevic, 37, Nihad Rosic, 26, and Mediha Medy Salkicevic, 34. Jasminka Ramic, 42, pleaded guilty last month. According to court documents the group conspired via phone, Facebook and email using innocuous code words such as 'beach' for places like Iraq and Syria while using PayPal and Western Union to send funds to fanatics. 'All six individuals are natives of Bosnia who immigrated to the United States,' the US attorney's office said in a statement announcing the charges. Guilty: From left Zacharia Abdurahman, Hamza Ahmed and Hanad Musse have all admitted conspiracy to provide material support and attempting to provide material support to a foreign terrorist organization. US officials suspect around a dozen men from Minnesota have left the North Star State to fight alongside ISIS extremists in Syria - and two have been killed. 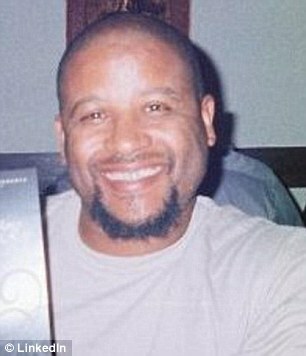 In August 2014 Douglas McArthur McCain, 33, a Muslim convert who went to school in Minneapolis, became the first US citizen known to have died while fighting for the terror outfit. Days later the White House confirmed that a second Minneapolis native-turned ISIS combatant, father-of-nine Abdirahmaan Muhumed, 29, had also been killed. The two deaths fueled fears that the Midwestern state is becoming an unlikely recruiting hot-spot for ISIS, particularly among its large community of Somali refugees. Following a series of raids in April, eight Somali friends were charged with conspiracy to provide material support and attempting to provide material support to a foreign terrorist organization. 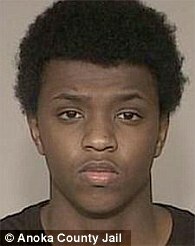 Zacharia Abdurahman, 20, Hanad Musse, 19, and Abdullahi Yusuf, 19, have all pleaded guilty but five more suspects face trial in February. 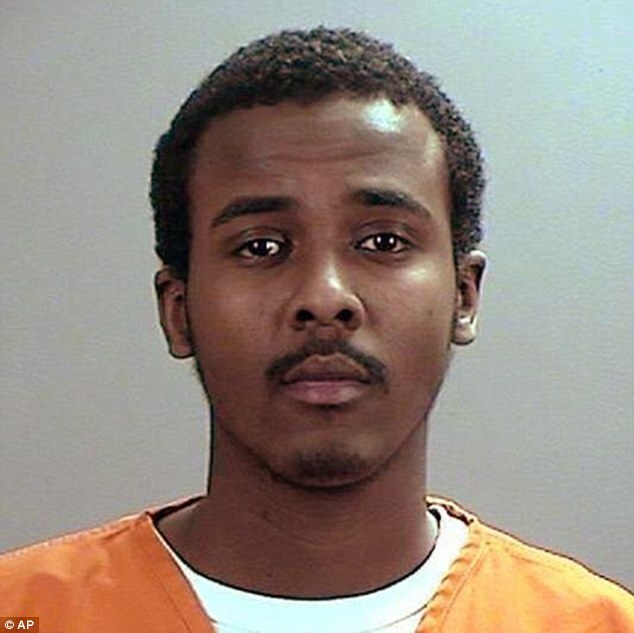 They include 21-year-old Abdurahman Yasin Daud, who was born at a refugee camp in Kenya and arrived in the US when he was nine, according to the Minnesota Star Tribune. Air Force veteran Tairod Nathan Webster Pugh is accused of the ultimate act of betrayal - joining the ranks of ISIS to wage war on the country he once served. 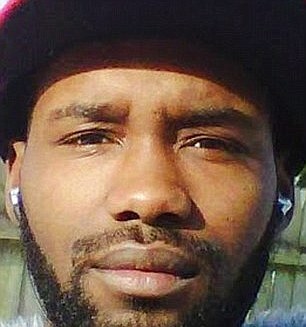 Believed to be the first former US serviceman to attempt to join the terror group, Pugh is accused of trying to travel Syria to fight alongside the warped caliphate's fanatical armies. The 47-year-old was an avionics instrument system specialist from 1986 to 1990 but Federal authorities say he converted to Islam after leaving the military and became steadily more radical. The FBI first learnt of his beliefs in 2001 when a co-worker at American Airlines reported Pugh, whose last known address was in Neptune, New Jersey, for sympathizing with Osama bin Laden. 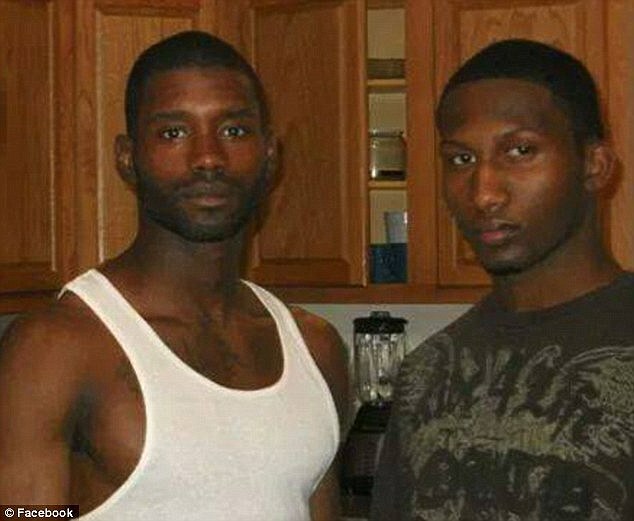 Cousins Jonas and Hasan Edmonds - a National Guard soldier - are accused of plotting a 'Charlie Hebdo'-style raid on a military facility. 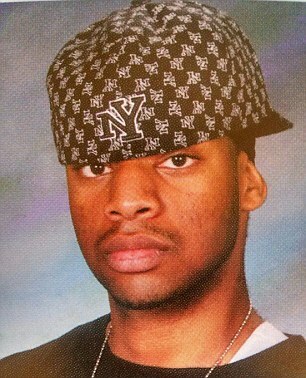 Prosecutors say the pair planned to utilize Hasan's inside knowledge to slaughter around 120 servicemen at the Illinois National Guard Armory. 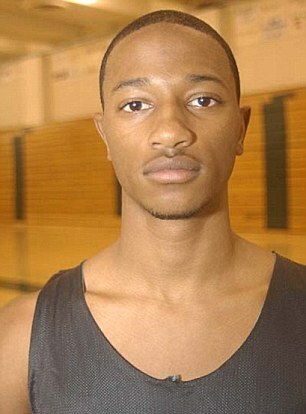 They pair scoped out the facility together and Hasan, 22, gathered training schedules, building layouts and a uniform. According to the FBI complaint, Jonas, 29, was poised to execute the plot while Hasan headed to the Middle East to fight alongside ISIS. Hasan was arrested March 25 when he tried to fly from Chicago to Egypt and Jonas was arrested the same day in Aurora, Illinois. Both men are due to stand trial. 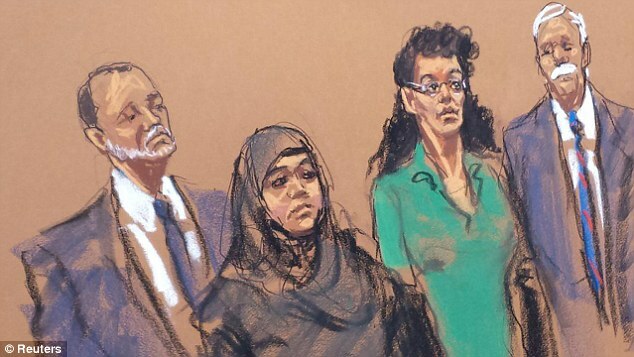 'The defendants allegedly conspired to provide material support to ISIL and planned to travel overseas to support the terrorist organization' announced Assistant Attorney General Carlin. 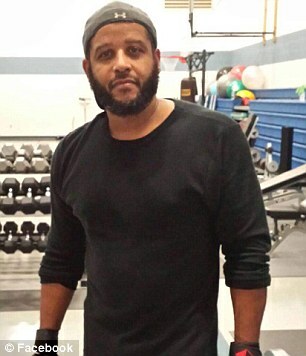 Yemeni-born Mufid Elfgeeh was a naturalized American citizen running a pizza and chicken shop in Rochester, New York. 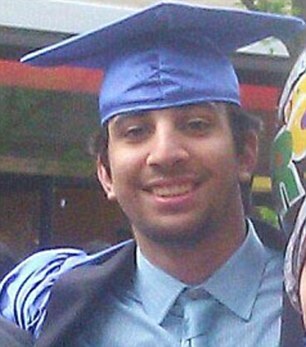 But in September May 2014 he became one of the first people on American soil to be arrested and accused of being a recruiter for ISIS. Authorities say the 30-year-old plotted to send three men to a 'welcoming camp' in Syria for jihadist education and training. According to the Department of Justice he was also plotting to shoot and kill members of the United States military who had returned from Iraq. 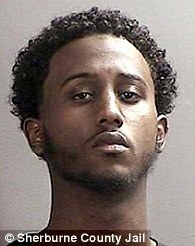 Elgeeh was arrested in a Walmart parking car lot after taking possession of two guns with silencers and ammunition. He denies attempting to provide material support and resources to ISIS, attempted murder, various firearms charges and assault on three deputies involved in his arrest. Anti-Islam campaigner Pamela Geller made herself a prime target for Muslim fanatics when she organized a now-infamous 'Draw Muhammad' contest. 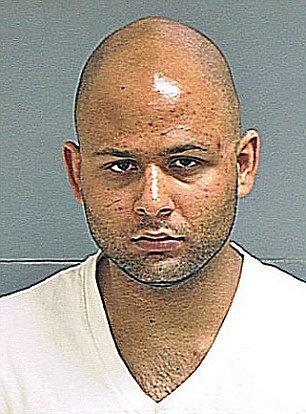 Gunmen Elton Simpson, 30, and Nadir Soofi, 34, tried to storm the controversial May 3 event in Garland, Tex. but were shot dead by police. 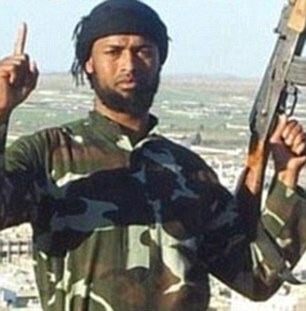 Moments earlier one of the pair had tweeted a pledge of allegiance to ISIS leader Abu Bakr al-Baghdadi. ISIS were quick to claim responsibility for the assault, the first time the fundamentalist movement had taken credit for an attack here - though authorities have never confirmed their direct involvement. The shootings echoed a string of threats and attacks on Western satirists, artists and bloggers who have depicted the Prophet Mohammad, most famously the Charlie Hebdo shootings in France. Organizers of the 'Muhammad Art Exhibit and Contest' insisted they wanted to promote free speech. 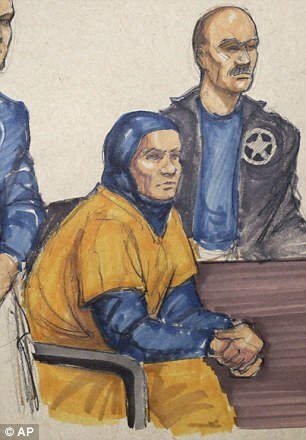 Plan 'A' was to hunt down and behead Geller in an apparent revenge plot over the deaths of their fellow fanatics at her Texas event. 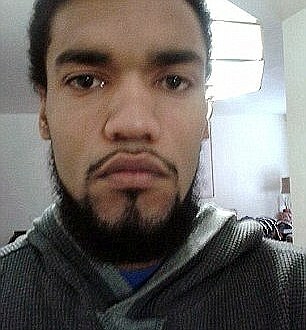 But after a week of scheming, Usaamah Rahim, 26, decided his ISIS-inspired bloodlust could not wait any longer – and vowed to kill members of 'the thin blue line' instead. Faced with an imminent threat to law enforcement, FBI and police cornered Rahim on a Boston sidewalk on June 2 and he was fatally shot when he refused to drop his knife. His alleged co-conspirators David Wright, 25, of Everett, Massachusetts, and Nicholas Rovinski, 24, of Warwick, Rhode Island, were charged with conspiracy to provide material support to ISIS. Wright, one of Rahim's relations, was also charged with conspiracy to obstruct justice. 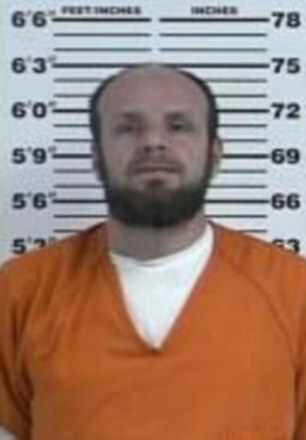 White Muslim convert Michael Todd Wolfe yearned to play the martyr and what better place to do it than in the killing fields of Syria. 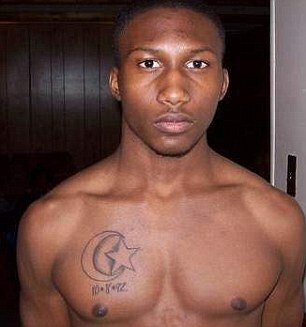 The 23-year-old took up running, martial arts, and began a grueling CrossFit training program to get in shape to fight alongside his ISIS brothers. He read up on military maneuvers and even sought out a pair of durable glasses with a head strap that would hold up on the battlefield, according to the Austin American-Statesman. 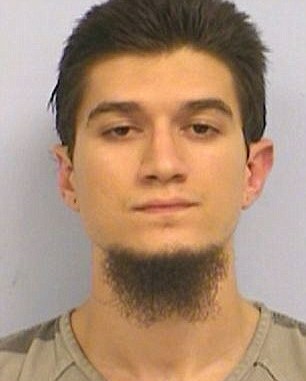 Wolfe, from Austin, Texas, planned to fly his family to Europe where he would meet an ISIS fixer who would take them all on to Syria. However he was arrested at George Bush Intercontinental Airport in Houston in June last year when the contact turned out to be an undercover FBI agent. 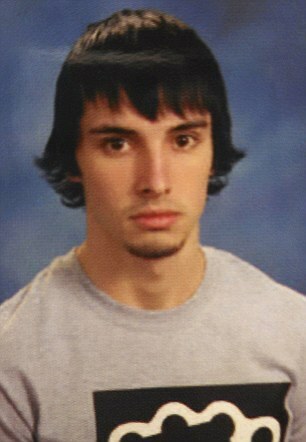 Wolfe was subsequently sentenced to nearly seven years in prison on charges that he attempted to aid overseas terrorists. Miguel Moran Diaz called himself the 'lone wolf' and boasted about shooting people with rifle shells engraved with the word ISIS. The 46-year-old Cuban immigrant poured out his love for the fanatical organization on Facebook and kept a stash of weaponry despite being a convicted felon. He asked an undercover FBI agent to help him buy a .308 caliber bolt action rifle and described how he would scratch 'ISIS' into the shell casings before going on a shooting spree. 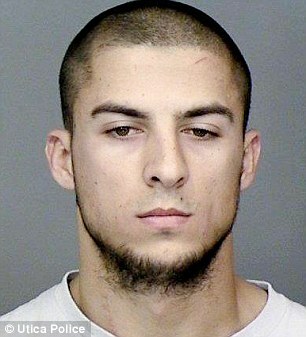 Diaz was jailed for ten years in July on a firearms charge rather than a terrorism offense - but Federal authorities were convinced of his jihadist leanings. 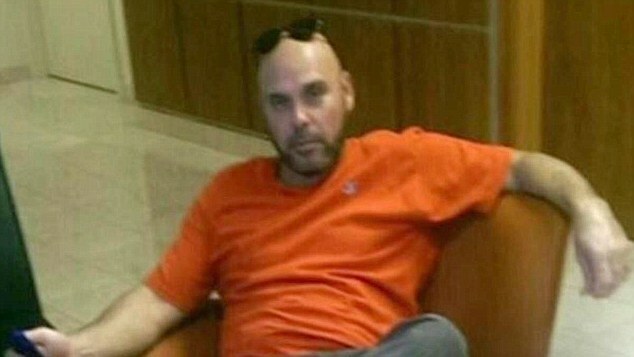 'Miguel Moran Diaz was an armed, convicted felon who harbored sympathies for the Islamic State of Iraq and Syria,' FBI Special Agent in Charge George L. Piro said in a press release. They were just three teenage girls from Denver with a love of pop music and social media. But when the two sisters aged 15 and 17 skipped classes with a 16-year-old friend in October last year, the last thing on their mind was a Justin Bieber concert. The trio were reported missing and eventually arrested in Frankfurt, Germany as they apparently traveled to Syria to join Islamic militants. They were said to have fallen under the spell of ISIS, with its promises of dream homes, husbands and Disney-esque happy endings to lure young brides to Syria. 'Social media has played a very significant role in the recruitment of young people,' warned FBI spokesman Kyle Loven afterwards. 'Young, disaffected youth who exist primarily on the fringes of society - they seem to be more susceptible to this type of propaganda'. The trio were never named because they were treated as victims. Awaiting trial: Christopher Lee Cornell emerged from a Cincinnati gun shop on January 14 with two M15 semi-automatic rifles and 600 rounds of ammunition. 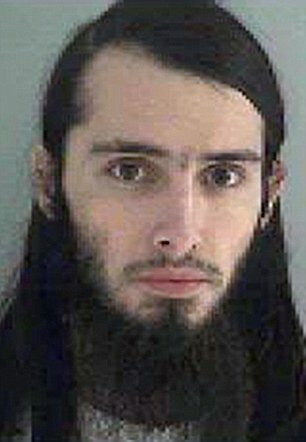 Islamic convert Christopher Lee Cornell emerged from a Cincinnati gun shop on January 14 with two M15 semi-automatic rifles and 600 rounds of ammunition. The video game fanatic got as far as the parking lot before law enforcement agents moved in to seize his arsenal, which the FBI says he wanted to use to mount a terror raid on Capitol Hill. Cornell's father John told The Cincinnati Enquirer he was 'momma's boy' but weeks later Cornell rang up a TV station from his jail cell boasting about his affiliation with ISIS and his desire to point his gun at the President. 'I would have put it to Obama's head, I would have pulled the trigger,' he told WXIX-TV. Defense attorneys have asked for a hearing to determine whether he is competent to stand trial. Facing life: John T. Booker Jnr tried to enlist in the Army, allegedly so he could carry out an 'insider attack', turning his weapon on his soldiers at a firing range or murdering them with a sword. John T. Booker Jr was arrested April 10 as he attempting to arm a '1,000-pound bomb' hidden in a van parked near Fort Riley, a military post in Kansas. In fact, it was a dummy device supplied to him in an elaborate FBI sting. 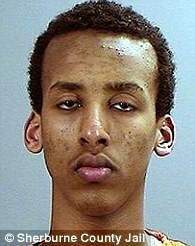 According to court documents, the 20-year-old from Topeka, Kansas wanted to slaughter Americans on behalf of ISIS, telling an undercover agent: 'I will kill any kuffar'. He also tried to enlist in the Army, allegedly so he could carry out an 'insider attack', turning his weapon on his soldiers at a firing range or murdering them with a sword. The Topeka, Kansas native was denied entry and then snared by FBI agents, one posing as a high-ranking sheikh plotting suicide attacks. 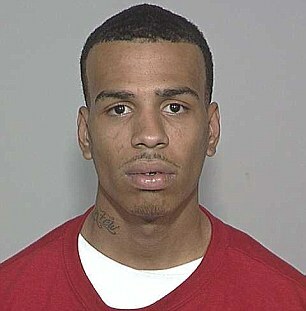 He is awaiting trial and faces life in prison if convicted of attempting to use a weapon of mass destruction. 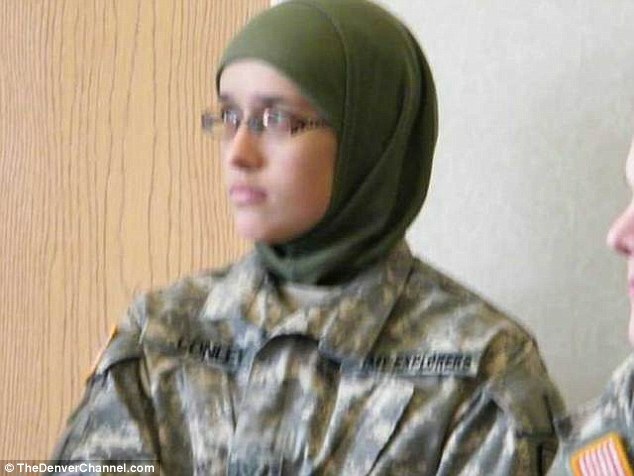 Nurse's aide Shannon Maureen Conley fell in love with an ISIS fighter online and was arrested as she flew out to become his jihadist bride. 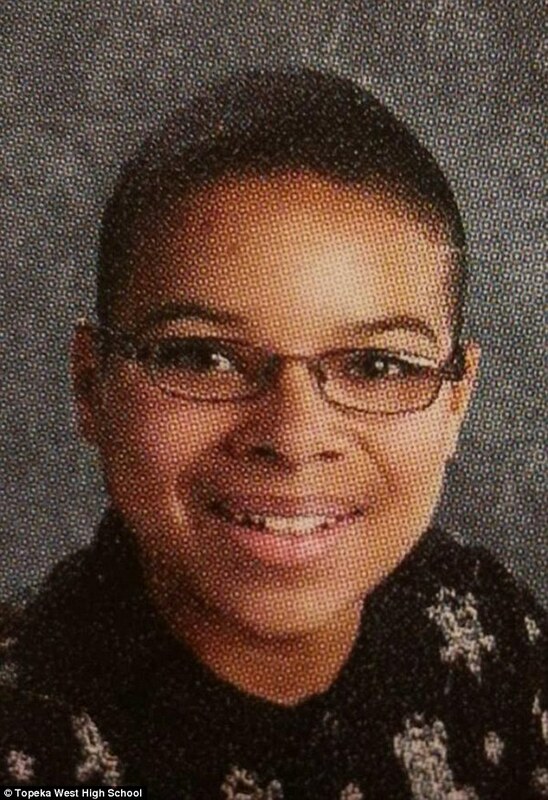 The 19-year-old Colorado native had Al Qaeda literature in her luggage when she tried to board a plane from Denver to Turkey in April 2014. Her plan was to slip into Syria to wed her 32-year-old Tunisian 'suitor' and serve as a nurse in an ISIS camp. 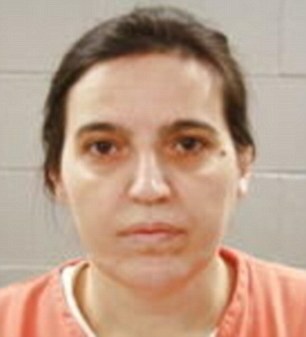 Instead, Conley finds herself behind bars after she was handed a four-year sentence by a federal judge determined to steer others away from the terror group's clutches. ISIS-inspired roommates Noelle Velentzas and Asia Siddiqui are accused of plotting a homemade bomb attack on a slain police officer's funeral. The two friends from Queens, New York stockpiled gas tanks, fertilizer and a pressure cooker in an apparent bid to emulate Boston marathon bomber Dzhokhar Tsarnaev, prosecutors allege. Court documents say their list of potential targets included the funeral of NYPD officer Rafael Ramos, who was shot dead in December 2014 along with his partner Wenjian Liu. Velentzas, 28, is said to have told an undercover agent who converted to Islam to befriend them in 2013 that they wanted to be known as 'citizens of the Islamic State'. She and Siddiqui, 31, were arrested on April 2 before they could settle on a target but are accused of conspiring to use a weapon of mass destruction. Guilty: Store supervisor Alaa Saadeh (left) and Samuel Rahamin Topaz (right) have both pleaded guilty to terror charges. Saadeh's brother, Nader, was arrested in Yemen and is awaiting trial along with others. Facing trial: Staten Island student Fareed Mumuni, 21, is accused of helping Saleh and faces a further charge of attempting to murder an FBI agent after he lunged at him with a kitchen knife before his June 17 arrest. 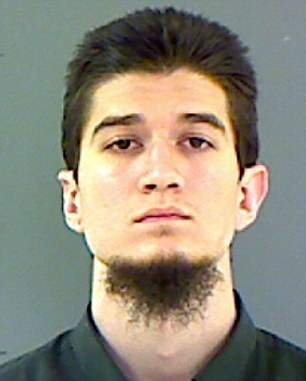 Authorities in the New York-New Jersey-Connecticut tri-state area arrested five members of an alleged ISIS cell on the eve of July 4 celebrations amid fears of a pressure cooker bomb plot targeting a New York landmark. 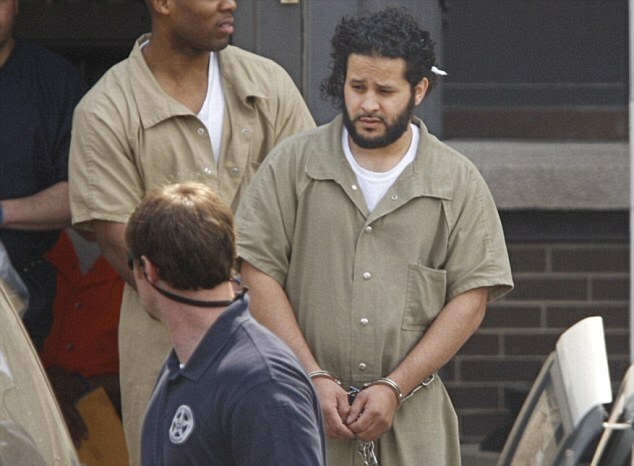 Samuel Rahamin Topaz of Fort Lee, New Jersey, has pleaded guilty to trying to travel abroad to join the terror group and faces up to 20 years in jail. The 21-year-old's lawyer says he had no role in any wider plot, however, and plans to cooperate with authorities by telling them what his alleged co-conspirators were up to. 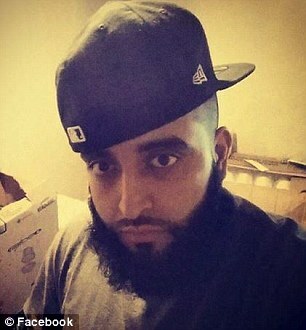 Store supervisor Alaa Saadeh, from Hudson County, New Jersey, meanwhile, pleaded guilty to giving money and credit cards to fellow fanatics to help them travel to Syria. 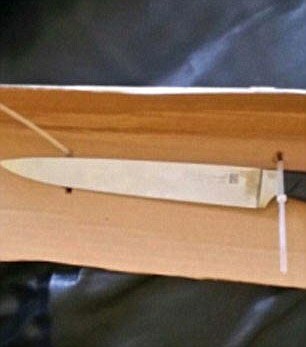 Staten Island student Fareed Mumuni, 21, is accused of helping Saleh and faces a further charge of attempting to murder an FBI agent after he lunged at him with a kitchen knife before his June 17 arrest.